I’ve mentioned before how great the blogging and writing community is on Twitter. It’s so supportive and people love to lift one another up and give shoutouts to others! Well, this last week, I received a great shoutout! Cris over at The Biblio Blonde nominated me for The Versatile Blogger Award! I’ve loved reading book tags like these and it’s fun to find out more about each other! However, this will be the first that I’ll post. THIS WILL BE FUN! Thank the person who nominated you, and include a link to their blog. I love watching Dateline and 20/20. I have the apps on my phone for NBC and ABC so that I can watch any of the episodes I may have missed. I might be a bit obsessed. 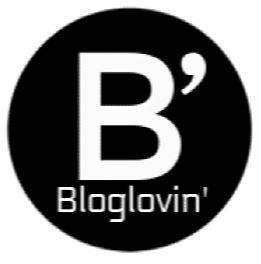 The Bibliovert, my book blog, is the 2nd blog that I’ve had. I started a photography site a couple years back that was called Capture Life’s Little Moments. I have two puppies that keep me company during the day. I am overly analytical and over think everything. I love to bake snacks for my boys and cooking dinner for my family. Hope you have enjoyed these tidbits! 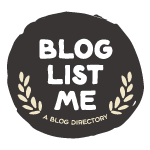 Don’t forget to take a peek at Cris’s blog and the blogs I nominated above. Happy Friday and hope you all have a great weekend! I overthink everything and it makes me extremely indecisive. I’m with you! It’s a struggle for sure! I still do some photography but not as much as I’d like. I prefer macro photography and my body just won’t allow me to be crawling around to get good photos of flowers, bugs, etc. I look forward to reading your post 😀. Thank you so much for the nomination ❤ I can't wait to get to work writing my post!